If you liked Navan you will love Arvani as a Navan liqueur substitute. Artez is a small Armagnac producer who owns 12 hectares (30 acres) located in the Western part of the Bas Armagnac, also known as the First Cru. Even though the eaux de vie have been produced at this distillery for many decades, a new owner took over the family business about 20 years ago. This naturally delicious liqueur is made by macerating 100% Madagascar Vanilla beans in barrels of young Bas-Armagnac for several months. After a touch of sugar is added, this tasty blend is allowed to rest before it is carefully filtered and bottled at 40% ABV. 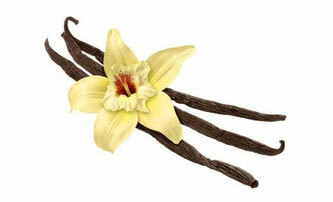 If you like real vanilla taste, this is where you’ll find it. Bartenders finally have a pure vanilla spirit for creating tasty vanilla cocktails. It can also be served straight up, chilled or on the rocks. 4 stars / Highly Recommended! "Mahogany color; very good clarity. Smells very nicely of Madagascar vanilla bean, honeysuckle, and brown sugar in the first sniffs... Entry is dense, intensely vanilla bean-like and yet there is clear evidence of the spirit base; midpalate is rich, but not unctuous, beany without being metallic, and balanced. Aftertaste is long, bitter-sweet, and honeyed. "